I came with our expert Stanislav, to competition camp Friday evening; a lot of participants were already there. It was night and the first impression was quite undefined however, we realised we are in a really beautiful place, surrounded by hills, mountains and great nature. The lights from Sliven were highly definitive. We had quite early get up at 8:00. Cause at 9:00 was planned the official registration on the event. When we do it, we had 100% possibility to see observe this beautiful place. Breath-taking views, probably one of the most picture place, where completions has been organized. Despite having very loud and fun night,(As I got to know later some guys went on Sliven on disco), everyone was totally ready to perform their best. Even before this the organisators set up Katran branded flags and national flags on whole distance. The registration started in time. Each participant received unique branded t-shirt with all printed sponsors and main weapon of this completion: Synapse Carp Camo 0.255 mm. The total result of registration – 48 fully motivated participants from Bulgaria, Romania, Turkey and Ukraine. 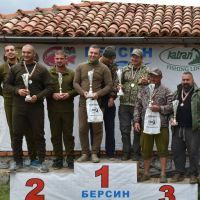 May the great event start, Pavel said and first participants came to the starting point for first discipline – accuracy long casting. We faced strong wind it’s totally good for all other disciplines but not for accuracy. 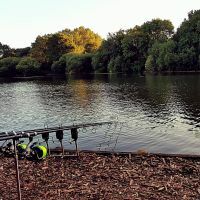 Here it was a big extra challenge to cast, taking to account strong wind, that could move your lead 20 or even more meters forward. Each participant (3-5) throw the line as close to marker as it possible. However no one don’t know the exactly distance. Cause a kind of cheating is possible (clips setting) Each participant has 2 opportunities. The best of them is the exact result in accuracy category. The best was 50 cm close to market. Quite long procedure, because you also need to solve all lines knots between participant rods. The wow effect of all participants made a big truck, that was coming to us, We were excited, what it might be, and quite shocked when we saw mobile inn, real kitchen, that came to us on airport. They offered quite broad choice of tasty food, by really competitive prices. So all participants of this great big event during 2 days had opportunity to had proper meals and receive so wannabe energy for this long casting performance. After it, we had the second discipline Long cast using Anaconda rods. The special accent was made on clarify and fairiry. Each opportunity was in a proper turn. And for Anaconda rods 1 person cast and the next in tern of set person take the rod spool the line on reel. The caster also go with him. So the organisators provide the highest level of clear and fair competition. Weather was extremely changeable. Before this moment, I thought the most changeable was on WCC 2015 in France. Strong wind is totally good for casting, however, heavy rain is absolutely opposite case. So we were forced to pause the event and cover ourself in tents. Clouds gone somewhere on their own direction and we continued the competitions. However after heavy rain the pressure stabilized quite all wind disappeared. So new challenge appeared for the our competitors. Each participant now had 4 opportunities to cast his best. Get ready - start – the main commands to the set of 5 participants. During this declines the weather changed lot of time, from feeling like +3 up to 20 degrees. All our participants did their best and finished this part 30 minutes before the sun gone down. The first day was full of joy, bright emotions, impressive and even unexpected results. Of course, everyone was tired, however, what is most important – people smiled and were glad to show their potential. The temperature felt like +2 at night, however, a great spirit make as feel comfortable and warm. To save the time, the official start of second day was at 8.00. And again despite full of fun night we started quite in time. Really hoped, that the yesterday weather won’t happen today and our praises were listen and kept to the account. During all day the weather demonstrated us the role model behaviour, underling all beauty of this fantastic place. The first discipline of this day was Casting using 3.5 lb rod. The participants were grouped by 4-5. Before each cast the draw was to identify the direct place of cast of each participant. This discipline was going in quite fast temp, a lot of visitors came to our place to see the cast of highest level professionals. This day in general were in general more people, who wanted to see all technics, than people, who casted. The changeable character of weather inherited the wind, at least 3 times it changed on 180 degrees. So the conditions of casting were quite severe. Each participant had 4 opportunities to show the best result, that will be recorded. After successful finishing of the first discipline without any pause, we moved to the second discipline Casting using 3.7 lb rods. It was also gone in a great way. Even despite all participants were the direct competitions, a great friendly atmosphere were on all airport place. Smiles, jokes, lot of fun and friendly hugs gave extra power and worked as a synergy effect. The warm and sunny weather allowed everyone to dress out all heavy close and enjoy the spring in branded t-shirt, that are made from special breathable material, ideally lays on a body. 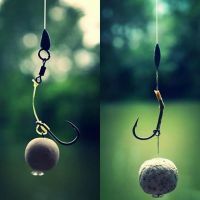 The last discipline – Casting on Spod for the bravest anglers. It attracted a lot of visitors, which supported each participant and motivated to show the greatest result. Proud, despite heavy casting conditions and each of nominated winners casted Synapse Carp Camo 0.255 mm up to 210 meters, which is pretty impressive result! The award ceremony had also unique format with lot of nominations, even such pleasant as “The youngest competitor”, “ The most edged competitor”. The special award received the brave girl, who was only one in these competitions. In all nomina-tions, the prizes received competitors from, who scored from 6 to 1 place. 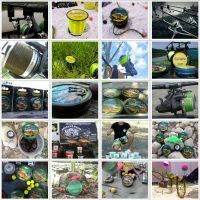 Thanks to all sponsors, the gift packages were full of great products, that every angler should try. One of the most exited award – was The official World Carp Classic certificate, that gives the right to take part in Casting Competition on Lac de Madine 2017, we are gtateful to Ross Honey for this. To sum up, was amazing event, the first in it’s class, organized on high international level. I’m sure, it’s a great ground for long-casting development all over the Europe, cause this event was role model of how to organize, not just one more competition - but together create a real holiday for all participants with lots of positive emotions and joy! From the side of all Katran, I’m expressing the biggest thanks to the Organization team, who made this great event possible. Pavel Toromanov, Ludmil Dimov, Pascal Mitev – gifted this holiday to us!